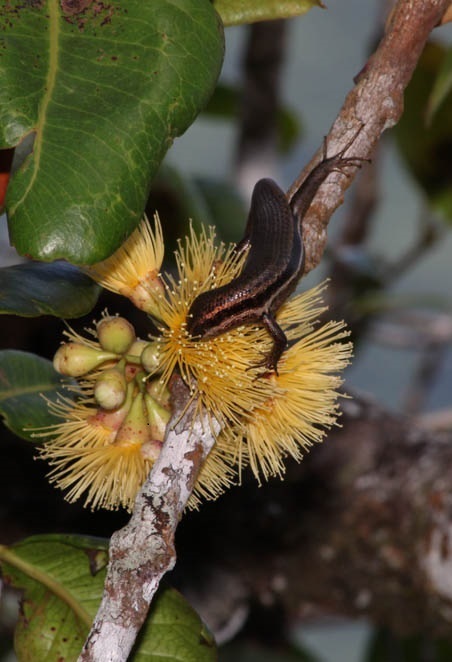 (Seychelles News Agency) - A new study carried out in Seychelles and published in the prestigious scientific journal Nature on Monday has shown that clearing areas of alien species increases the natural pollination among the native plants that remain. The increased productivity of native plants recorded by the researchers is an indicator that natural ecosystems of native and endemic plants can be restored, a promising implication for the future of biodiversity conservation. 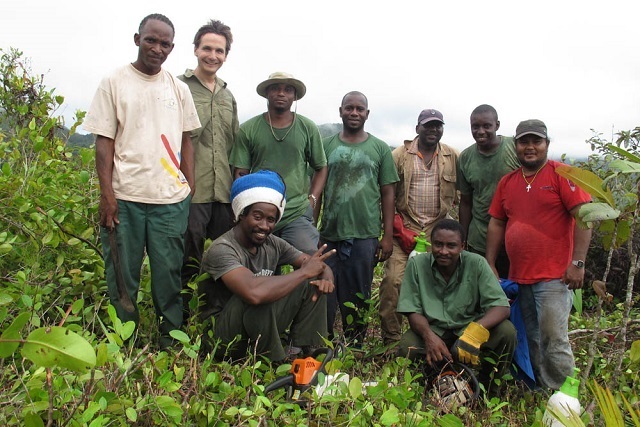 Conservation biologist Christopher Kaiser-Bunbury, from the Technical University of Darmstadt in Germany, has worked on a number of research projects in the western Indian Ocean archipelago, and this most recent study, entitled "Ecosystem restoration strengthens pollination network resilience and function" involved close collaboration with the Seychelles National Parks Authority (SNPA) to monitor differences in pollination levels at eight isolated mountaintop areas. Four of these areas had all its alien shrubs removed, while the other four remained unchanged. Over the next eight months, the team monitored and compared the results, discovering that the removal of exotic plants appeared to improve pollination. In the restored sites, plants produced 17.4 percent more flowers and attracted 22.9 percent more visits from pollinators, thereby increasing the numbers of fruit produced. The researchers also found that the total number of pollinators present, including bees, wasps, flies, butterflies, moths, beetles, birds and lizards, was on average 21.6 percent higher in restored ecosystems 6 to 14 months after exotic species were removed - proving the project’s long-lasting effects. Speaking to SNA in an email interview, Kaiser-Bunbury explained that the long-term survival of native plant communities does not only depend on the presence or absence of exotic plants, but also whether the associated animals are present and provide vital ecosystem functions. 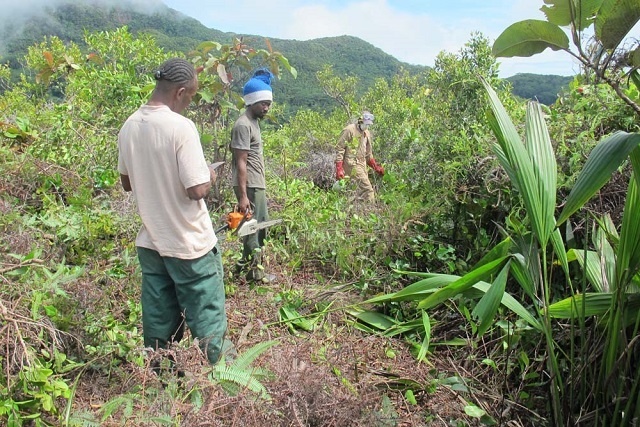 The SNPA initially proposed to remove exotic species from several sites in the mountains of the granitic islands of the Seychelles, but needed to find out if this resource-demanding activity would ultimately be successful in the long term. Having worked together with the SNPA’s field researchers, James Mougal, Terence Valentin and Ronny Gabriel, on a previous study Kaiser-Bunbury led in 2007, the group proposed to co-author this study together as well. The next step was to identify the eight study sites, which needed to be mid-altitude glacis (granitic inselbergs), around a hectare in size, with similar ecological and climatic conditions that were relatively easy to access, and the sites were selected on the main island of Mahé at Bernica, Casse Dent, Copolia, La Reserve, Salazie, Rosebelle, the Tea Plantation and Trois Frères. As Kaiser-Bunbury pointed out, vegetation restoration is not a simple exercise - it requires a long-term commitment to ensure the sites are kept clear of invasive species. To counteract the impact of removing exotic shrubs and trees on the habitat, restoration also involves reforestation with native plants and regular weeding. After the restoration part of the project was completed, the researchers spent a total of 1,525 hours counting flowers by following a transect-based protocol which allowed them to calculate the number of flowers available at each study site every month. The study provides a tantalising theory as to why pollination increases after the removal of alien species. 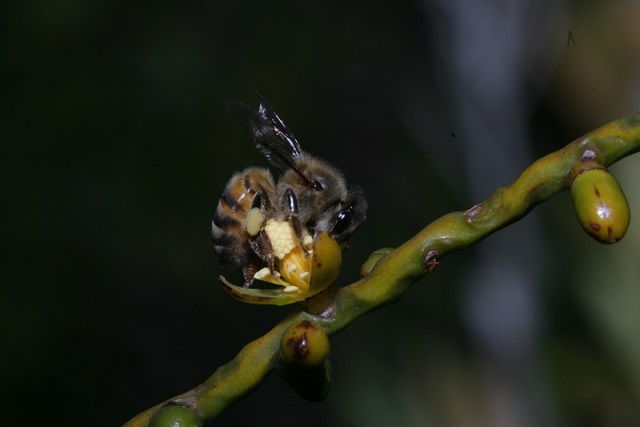 The researchers think it most likely that the removal of exotic plants opens up the native vegetation and allows the pollinators to find native flowers more easily and quickly. With more pollinators visiting each flower and each pollinator visiting a flower carrying better pollen, the result is a higher chance of fruit production. 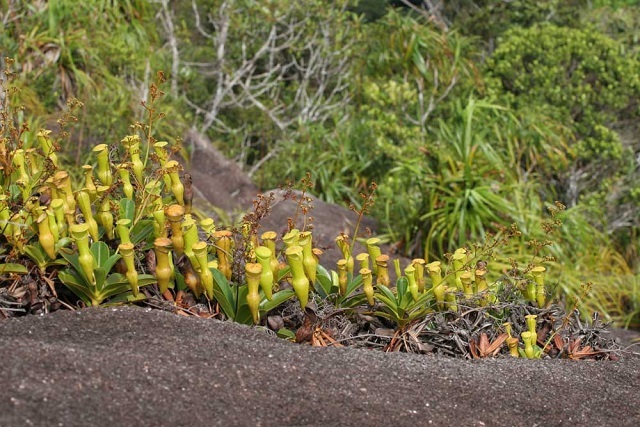 As Kaiser-Bunbury explained, native plants, many of which are found only in the ecologically unique Seychelles islands, are the cornerstone for the archipelago’s rich biodiversity, and tropical biodiversity in general.